What does being a small business mean to you? Is it about creating new things or fresh ideas that shake up a market long overdue? Are you trying to redefine the way people exchange goods and services? No matter what drives you, prepaid cards for small businesses pull you ahead of other startups and give your company a much better chance of success. Your company is destined for growth. If you want it to succeed, then you need to grant it the freedom to expand. To operate a small company, you need incredible administrative capabilities. Your employees rely on you to make decisions and keep the company alive and healthy. As you take on more clients or jobs of a larger scope, fresh fires are going to pop up all around you— and it’s your responsibility to put them out. Although accounting is a critical aspect of staying profitable, it can become an overwhelming hassle that threatens your already-burdened organization at its most vulnerable. If you fail to maintain a close watch over your spending, then you’ll be starting the marathon with an injured leg. Give your staff members the tools they need to make responsible purchases. Don’t waste so much of your mental capacity on minor decisions, and let spending solutions clear your head for big business moves. Why restrict yourself to subpar extremes when you can exercise purchase flexibility in a completely safe fashion? You don’t have to place your trust in untested employees or accounting mechanisms that might not stand up to real-world demand. 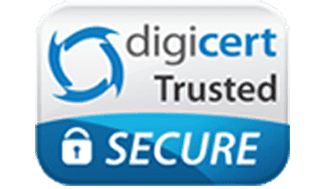 You get fraud prevention, expense management and instant purchase control in one sleek package that incorporates as many individual prepaid cards as you deem fit to activate. You may not be closing million-dollar deals or purchasing massive amounts of stock and supplies from vendors, but small mistakes can cost you a lot. If your employees commit fraud or make simple invoicing errors, your lack of reserves means that you could easily find yourself facing bankruptcy. Entrepreneurs need options that help them stay informed about what’s happening, and they can’t afford blind spots. That’s why Bento’s specialized prepaid cards for small businesses let you see who’s making which purchases the instant they occur via an intelligent smartphone app. In addition to tracking post-transaction analytics, you can institute spending limits for individual cards, projects, recipients or calendar periods to make it impossible for people to exceed their maximums. Since you manage every possible aspect of funding and spending from your small business prepaid card account, you never lose control even if you’re not actively handling the incidentals yourself. Isn’t small business accounting so overwhelming? 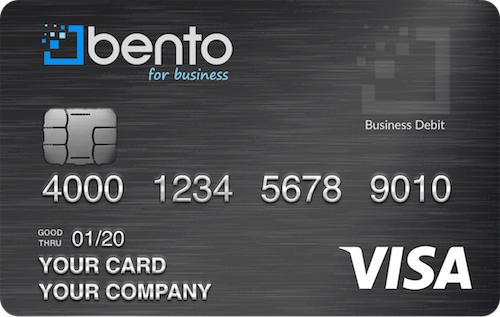 Bento for Business Visa debit cards are a great alternative to prepaid cards for small businesses. The Bento cards should work well for you. They are simple to set up, and considering the amount of freedom you gain, it’s a minimal expense. The business Visa debit cards arm you against fraud, theft and accounting mishaps. Even better, you can get started with a free 60-day trial in just 60 seconds to try them out for yourself. Could a Bento for Business Visa debit card become the cornerstone of your startup’s success? Try it today to find out. Call (866) 220-8455 to connect with one of our business reps and ask them anything you’d like to know about prepaid business cards! Still not convinced? Check out some of our customer reviews!